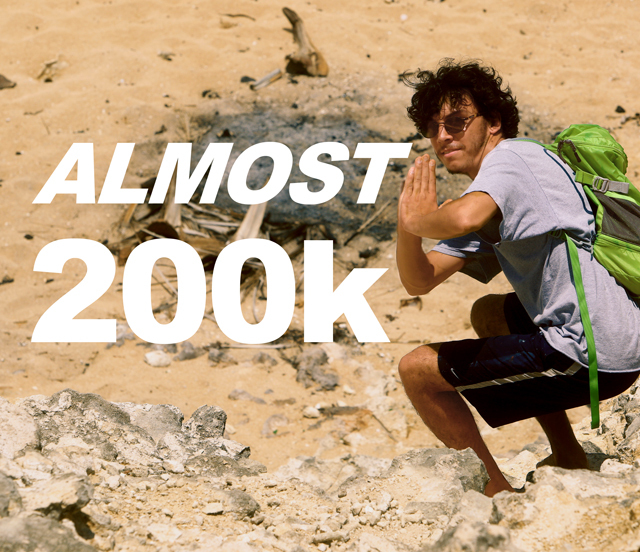 WE’RE ABOUT TO REACH 200K VIEWS IN OUR YOUTUBE CHANNEL!! It has been two years since we posted our first BT video of our adventures in Barcelona. Booker Travels is so happy to be part of a growing community and to have reached the eyes of almost 200,000 viewers. So this week we want to take the time to say THANK YOU! And also to ask you to spread the word about Booker Travels! Thank you for staying tuned, it means a lot to us. We’re working hard to bring corners of the world to our channel and to your screen but we can’t do it without you. Please continue to check our stuff out and invite your friends to join in through our INSTAGRAM, FACEBOOK, and TWITTER to keep us going strong.